Modern simplicity is exactly what it says on tin! A sequel to ‘Modern Elegance’. The family wanted to create a functional home with class and a modern fresh feel. 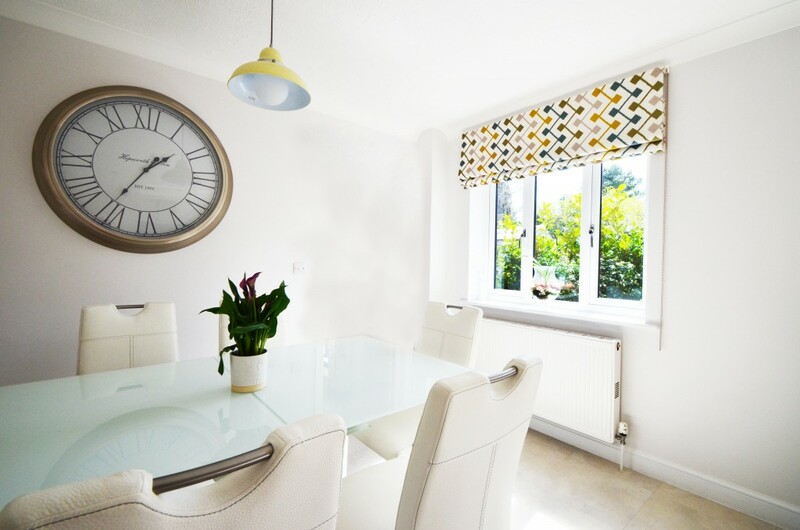 Using a light colour on the walls really helped us to maximise the space, giving a sense the family that fresh feel. The kitchen before had wooden cupboards, dark window frames and felt cluttered. The family have achieved a massive transformation in this room by basically starting again. They pulled out the old dingy kitchen units and replaced them with bright off white slick cupboard fronts. 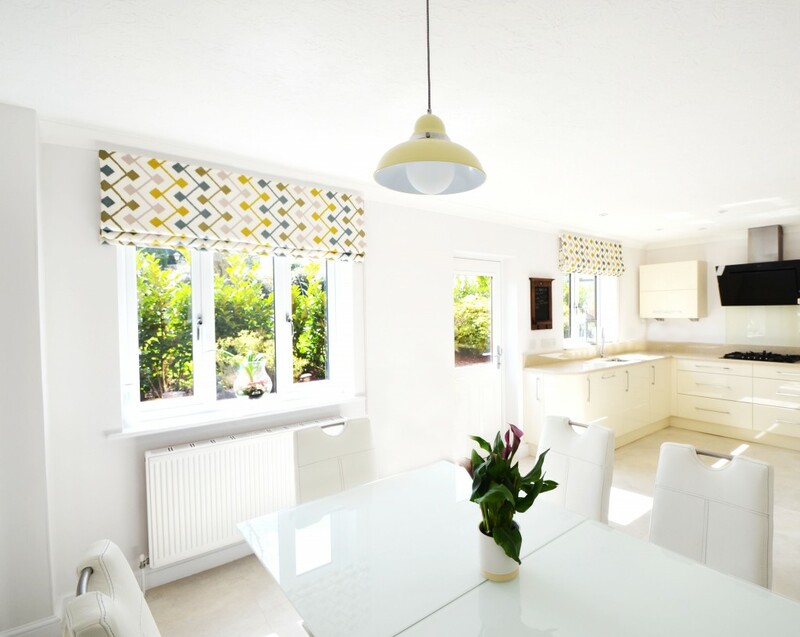 The light floor compliments the worktops giving a sense of floor and simplicity to the room. A big part of this phase of the project was to focus on the use of space whether that be cupboard space or worktop space. Within the units there are now dedicated areas for items within the kitchen a really great way to keep tidy and remain clutter free. 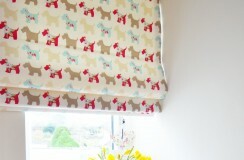 We handmade the Roman blinds out of this stunning embellished fabric. The subtle colours lift the room creating a feature piece within the space. The room needed a hint of colour, but not too much as the idea was to keep the modern and fresh feel. It is important to have a feature piece within a room otherwise the space can begin to feel sterile and flat. Another feature within the kitchen that brings a sense of class and style, is the use of the big clock. This is complimented by the stylised table and chairs really finish the room off. A really successful transformation! 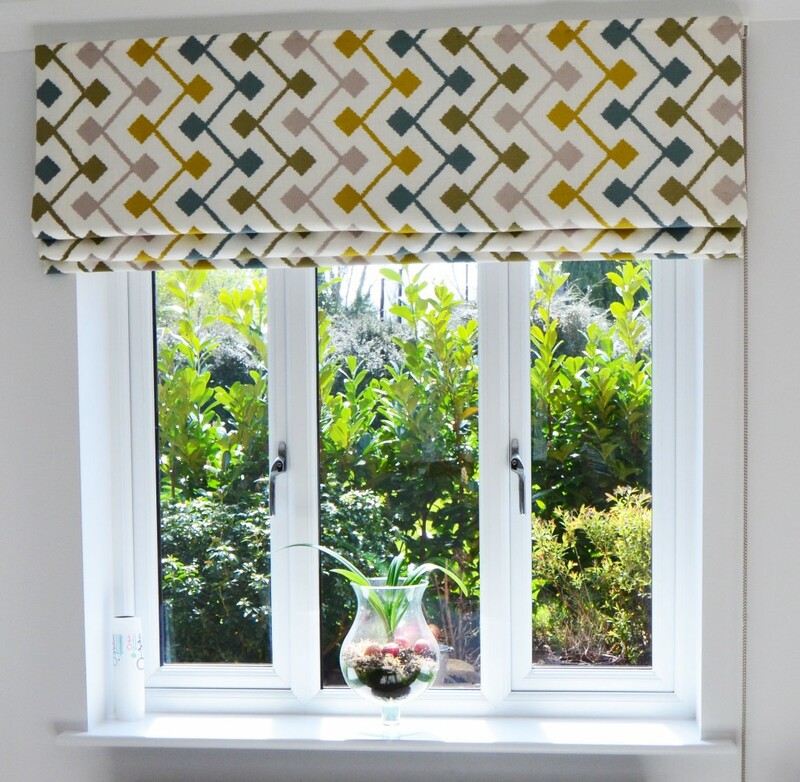 Modern and sophisticated yet family friendly and functional – We love it! Share the post "Modern Simplicity"